I’ve been kind of busy lately between work and motorcycle stuff and, as you may have noticed, I’ve pretty much stopped posting vinyl stuff on here. The reason behind that is because I have been working on a new blog dedicated to just those posts. I’ve been migrating posts over to that site and getting all the workings happening. I’ve even added a few new posts already. I made the move so that it was a bit more freeing. I didn’t want to post just on a certain day or feel like that was ALL that I was posting. I’d like to get this blog back into the realm of life and design. The image above shows the logo I’ve been working with. I have a few iterations of it and I’m digging them all. It’s got a 70s record label vibe happening and that style is even more prevalent in some of the other designs. Really groovy stuff. Anyway, I urge you to check out my new vinyl home if you liked what I was doing before. The new site can be found at epochvinyl.com. Let me know if you like it. Hell, let me know if you hate it. I’m cool with either. It has been a LONG time since I did a proper Vinyl Wednesday post. Actually, it’s been a full 6 months and that’s a bit excessive. I guess that’s what happens when you move, get a new motorcycle and end up spending most of the summer outside on it. Unfortunately, it’s going to be one more week before I completely start to get back into the groove. The photo above is from my latest attempt at getting some decent lighting set up in the upstairs of our house. I think it’s beginning to get where I want it. I don’t love it but it’s a start and that’s good enough for now. Keep your peepers peeled for a full post with multiple photos next week. For my first Vinyl Wednesday post of 2016 I would like to start off with a simple, no-frills record. 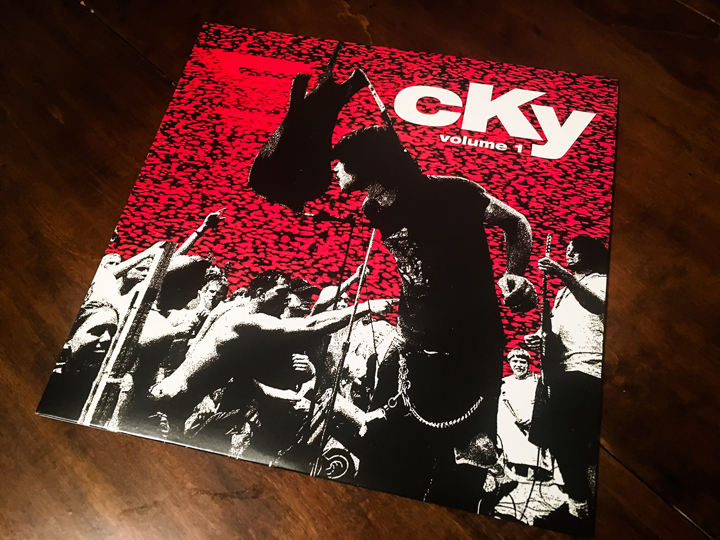 CKY’s 1999 album Volume 1. Fairly straight-forward rock tunes with no packaging gimmicks or anything. Just a jacket with a colored vinyl record. It’s official. 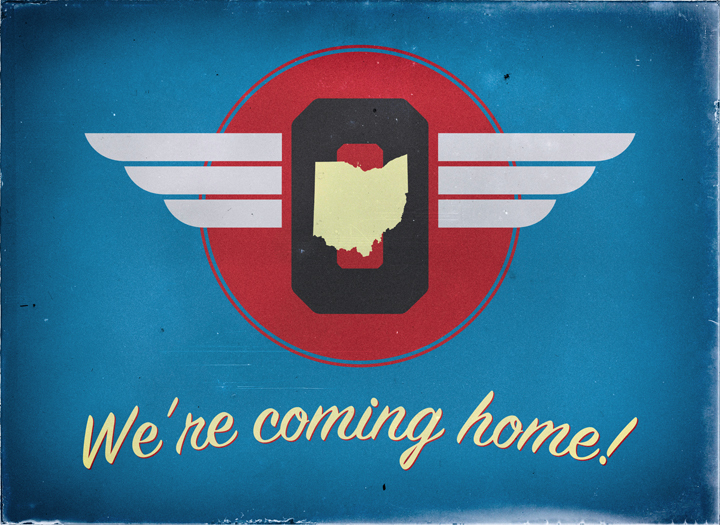 Nancy and I are moving back to Ohio on the 25th of April. We are looking to end up in the Cleveland-area and as of right now we have no place to live. It should be a fun journey and frankly we are both glad to be putting Chicago behind us. I still love parts of the city but I no longer have any desire to live here. I’ve tried it for about 4 years now and we are both ready to just get back to family, friends and driving ourselves around instead of riding buses and trains. I think Nancy feels the same way about a lot of the same, small things. We both want more space and we are just kind of over the living situations here. Time to move on to new adventures! I was going for a Looney Tunes/Merrie Melodies title card kind of vibe with the graphic above. It has a fun, old feel about it so I grunged it up a bit and that was it. Simple, fun stuff. Hit the jump to see a few other options I was working on. 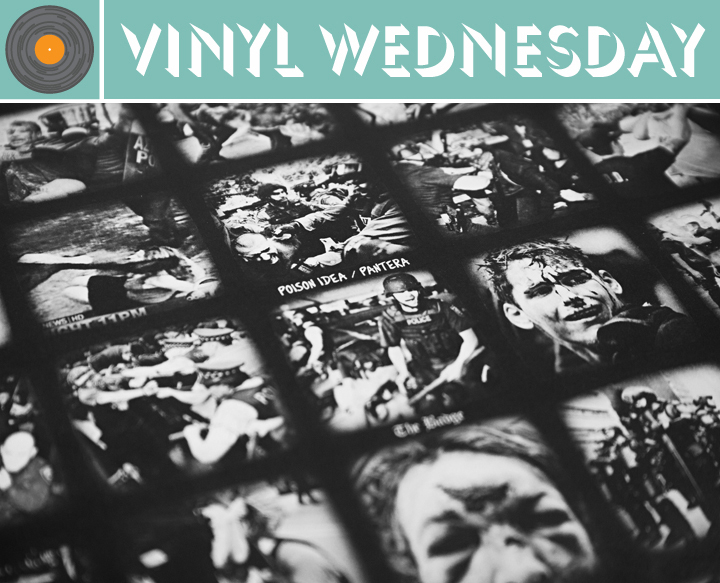 The featured vinyl this week is another choice cut from my 7-Inch Series project: the Poison Idea and Pantera split from Record Store Day 2014. “The Badge” was originally written and recorded by Poison Idea for their 1990 album Feel The Darkness and Pantera covered the song on the 1994 soundtrack to the movie The Crow.